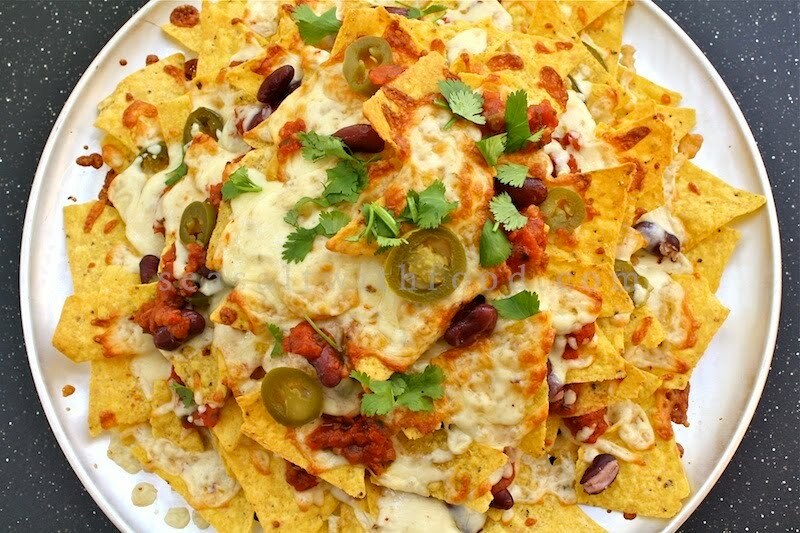 Fancy some Nachos for a little afternoon snack? 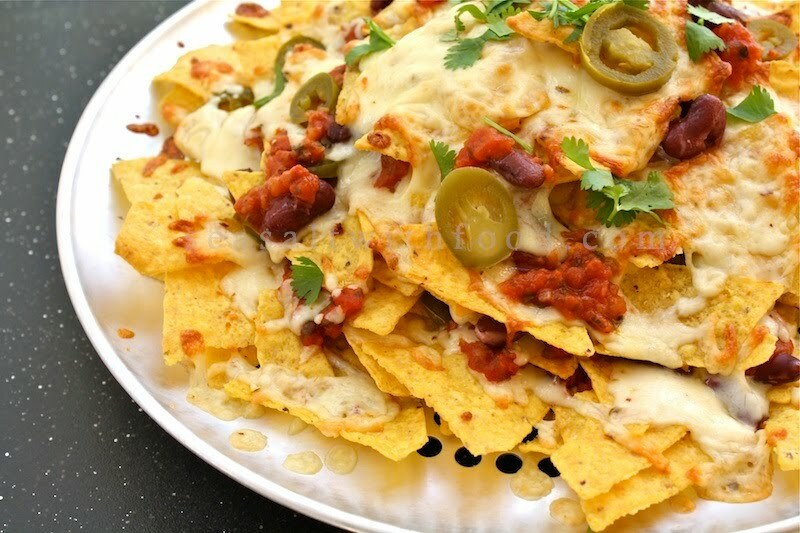 Try this easy Nachos recipe. The Nachos were layered with kidney beans, salsa, pickled Jalapeno peppers, and with lots of Monterey Jack cheese. Do serve the Nachos with some guacamole. Enjoy! Preheat the oven at 190˚C (375˚F). In a large pizza pan, assemble a layer of the tortilla chips. 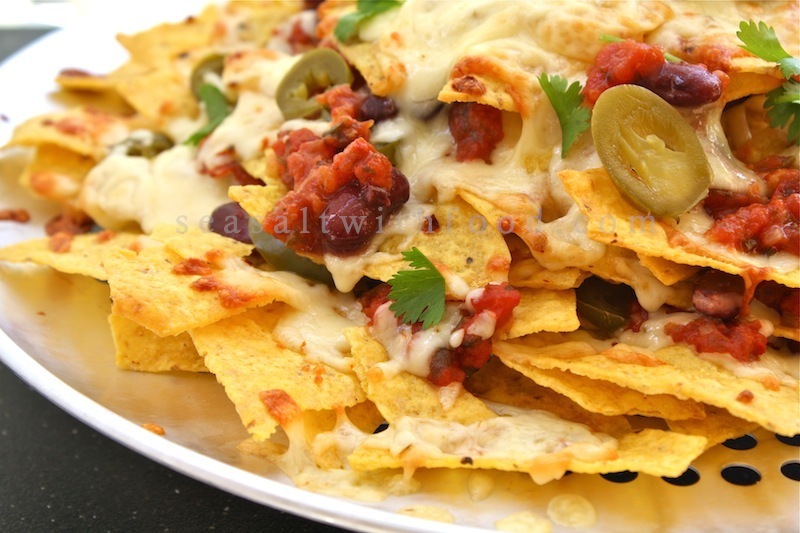 Toss some cheese on top of the tortilla chips. Then scattered some salsa or tomatoes, kidney beans, and Jalapeno peppers. Repeat until all the ingredients are used up. Bake in the oven for about 12 to 12 minutes. Serve immediately with additional salsa, guacamole and top with some chopped fresh coriander, if desired. I know it's been three years since you posted this, but I would recommend one change to your recipe: toast the tortilla chips for a few minutes before adding the other ingredients. If you brown them a bit, it changes the texture & flavor just enough to make the nachos really stand out. Thanks for for the suggestion. Love it!